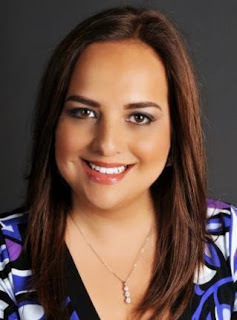 Reader Girls welcomes author Geraldine Solon to our blog today. Solon is the author of two picture books (Chiwo and The Forgotten Dinosaurs), one middle grade novel (David and the Amethyst), one collection (Odes, Insights and Stories for all Seasons), and her latest is Love Letters, an adult contemporary romance. 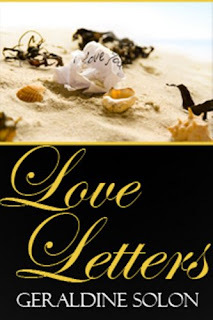 Here is the summary for Love Letters: Bridal shop manager Chloe Rogers will soon marry Richard Foster—so she thinks—until suddenly, she bumps into her childhood sweetheart, Josh Goldman, whom she hasn’t seen in thirteen years. The sparks between Chloe and Josh fly, but Richard provides safety, financial security. Should she follow her heart or her head? The answer comes in a surprise twist. While cleaning her attic, she stumbles upon love letters written to her estranged mother forty years ago from a man she loved. When Chloe secretly brings them together again and sees how much time they’ve lost, she is challenged not to make the same mistake her mother made. Will Chloe opt for security or will she risk her heart and marry her true love? 1. Tell us a little about Love Letters, what inspired you to write Love Letters? Love Letters is a story about second chances. Love Letters is based on the premise that one must be willing to risk one’s heart for a second chance at true love. I wrote this book because most of us know what it feels like to fall in love, yet not everyone is fortunate enough to marry their true love. What if you were given that second chance to be with the one person you truly loved? Would you accept that gift? · Love between childhood sweethearts, Josh and Chloe, who made a promise by the beach in Half Moon Bay, CA, to love each other forever. · Motherly Love between Chloe and Suzanne, who were at odds with each other until they finally realized that, despite their differences, their shared experiences and their love for each other are what binds them together. · True Friendship between Chloe and Nicole Williams, who have been best friends since grade school and have stuck together through ups and downs in each of their lives. · Hope was all Suzanne had when she sacrificed her life by marrying the wrong man. · Destiny is the magic that brings two people together again. I just finished writing a Women’s fiction novel, Chocolicious. The story is about love, loss, hope and redemption. A week after Blair Nightingale’s husband, Larry, dies, she learns she’s about to lose everything she owns due to a mistake Larry made. In an instant, Blair’s life is transformed from rich, Silicon Valley trophy wife to poor, widowed single mom. Her only goal now is to provide for her daughter. As Blair begins to pick up the pieces, George—Larry’s best friend and the man she truly resents—seems to always be around. When Blair is overwhelmed by all the challenges she faces, she seeks comfort in baking rich, filled, three-layered cupcakes that her grandmother once taught her, and Blair's life is changed forever. 3. How long have you been writing? What influenced you to start? I’ve been writing since I was eight years old. I started writing poems and essays but never knew I was capable of writing a book. I wrote my first non-fiction book, “Odes, Insights and Stories for all Seasons” in 2003. I then ventured into children’s books but felt that something was missing. I knew I had a higher calling when the ideas of writing love stories came natural to me. That’s when I knew that Romance and Women’s fiction were the genres for me. My goal is to write realistic stories that people can relate to. 4. How do your family/friends feel about your writing? They always knew me as a storyteller with a wild imagination. 5. Where do you hope to be in 5 years? To have more books published. I hope to be in the New York Times bestseller list and have my book in people’s shelves or electronic device. I also dream of having my own Bed & Breakfast or Retreat house for writers and artists searching for inspiration to write their masterpiece. I have lots of favorite books and authors. A few of them would be books by Nicholas Sparks. Eileen Goudge, Dan Brown, Kristin Hannah and Stephen King. 7. On the fun side, what is your favorite television show and why? Law & Order. When it comes to TV shows, I love anything that deals with crime, law and investigation because it’s very exciting and you learn a lot. 8. Where can readers find you? After trying other ventures, I continued to feel restless as I searched for my true calling. My friends always teased me that I had a wild imagination and entertaining stories. I knew they were right. That’s when I picked up a pen and didn’t stop writing until I completed 10,000 words. The words seemed to flow as the characters came to life. I felt renewed. I knew this was only the beginning of an exciting adventure. In 2003, I wrote and self-published my first book: Odes, Insights and Stories for all Seasons. I wrote and self-published three more children’s books – Chiwo, The Amethyst and The Forgotten Dinosaurs. After writing these books, I felt a higher calling – writing love stories and women’s issues and that is when I wrote my debut novel, Love Letters which was released in January 2011. I’ve always been a firm believer that love conquers all and that every woman’s experience is a story in itself. Life is a never-ending journey and my imagination and experiences have inspired me to write powerful stories. Although my books are fiction, my goal is to offer compelling lessons about life and love. The message I wish to convey to my readers is that despite the many challenges we face in this world, we must have hope and faith. Overall, it is love that binds us together. Thank you Ms. Solon. Love Letters (356 pages, CreateSpace, available now) and her other books can be found at Amazon and at other book sellers. What a great interview. The book also sounds lovely; I think that all of us of "a certain age" could easily relate to it.